When will be FarmHer next episode air date? Is FarmHer renewed or cancelled? Where to countdown FarmHer air dates? Is FarmHer worth watching? FarmHer is working to change the way people perceive a farmer by sharing the stories of the women who live and lead in agriculture. Women have always been an important but mostly unseen aspect of agriculture. In recent years, women are rising to the forefront of agriculture in so many ways; as owner/operators, landowners, workers, mentors and much more. Take a tour of Kernersville, North Carolina with FarmHer neighbors Beth Tucker and Dottie Pyrtle. Learn how their passion for agriculture brought them together to become life long friends. From working in corporate America, to life on the farm, follow Erin to see how she balances her daily involvement in agriculture; Marji heads to Jennifer's Front Porch to learn about blogging, raising pigs, kids and more. Take notes watching Colorado Goat FarmHer Kate teach the art of cheese making; Indiana FarmHer Jenny and her daughter give a tour of their row crop and cattle operations. Iowa FarmHer Amy's passion for horses; FarmHer Amber who is a Sheep Show Supervisor at the Iowa State Fair. 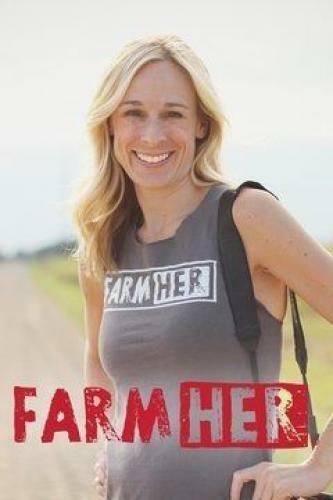 FarmHer next episode air date provides TVMaze for you. EpisoDate.com is your TV show guide to Countdown FarmHer Episode Air Dates and to stay in touch with FarmHer next episode Air Date and your others favorite TV Shows. Add the shows you like to a "Watchlist" and let the site take it from there.